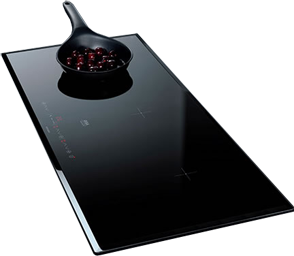 Throughout my website, you will find all sorts of information about cooking with induction technology and most of the reviews are for cooktops. However, I couldn’t help but add a range (or two) to the selection of reviews I have here. Not only do you get the benefit of a sleek looking kitchen appliance with induction technology on the cooktop, you also get what’s called a slide range. This means the racks included with the oven are a dream to work with. No more battling with trying not to burn yourself as you drag the rack out, and no more unwanted scrapes on the inside of your oven.